It’s Makeup Monday and I selected Tarte Contouring Palette as my favorite item this week. Contouring & Highlighting is still the biggest craze, everybody that I do makeup on request that I contour their face. 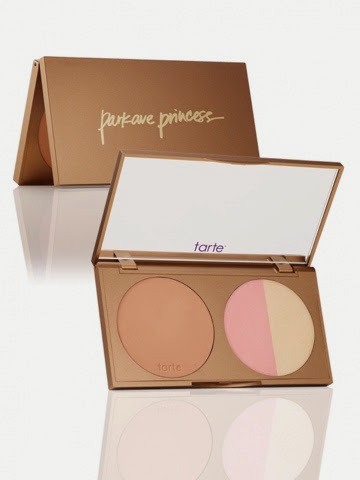 Tarte 3-in-1 contouring palette is my go to item when creating effortless makeup looks. My clientele range from young teens, glam goddess, upper east side housewives, professional corporate executives, celebrities, to mature woman. Not every client can pull off the beautiful Kim Kardashian makeup look, so when I’m looking to sculpt the face, giving an instant slimming appearance I reach for this palette. Even thought the packaging is ok, (I fell in love with their holiday gold packaging). The product make up for it, giving you a matte bronzer, a youthful blush, and a yellow highlighter. I can’t forget a full size mirror to help you to keep up with your natural glow…now who’s FANCY.